While there’s nothing like seeing a live show, a fantastic music documentary can make the experience come alive, and also serve as a living history of some of music's most pivotal moments. Here are five of the most influential music documentaries and concert films of all time. In 1964, What’s Happening! The Beatles in the USA offered a glimpse into the Beatles' personal lives during their first whirlwind of American appearances. The 1991 re-edited version (and, subsequently, the 2004 reissue) entitled The Beatles: The First U.S. Visit is a different take on footage from the original, but going to the source is recommended, as some scenes were excluded from the recuts. A mix of live footage and fantasy, The Song Remains the Same was filmed during three Led Zeppelin concerts at Madison Square Garden in New York City in 1973, but it wasn’t released until three years later. Accompanied by a a soundtrack of the same name, the film was well received by fans. Though it garnered mixed critical reviews, The Song Remains the Same is still a cult favorite within the music community. 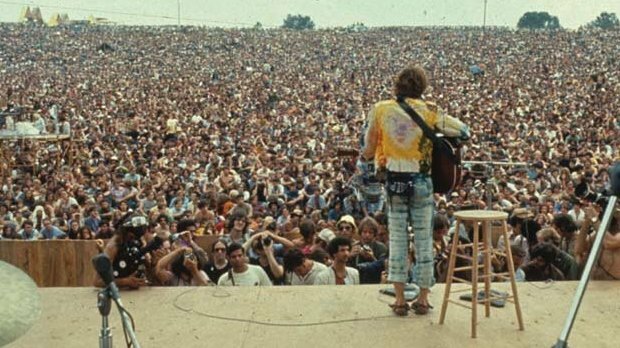 Chronicling the three-day Woodstock music festival in August 1969, the documentary's three hours of footage perfectly captures the counterculture of the 1960s. The film was a huge box office success and received an Academy Award for Best Documentary Feature, as well as a nomination for Best Sound. We all know the iconic image of Jimi Hendrix setting his guitar on fire at the Monterey Pop Festival of 1967. With performances from Jefferson Airplane, Janis Joplin, the Who, Otis Redding, and many others, Monterey Pop remains one of the most influential concert documentaries even decades after its creation. Using a handheld camera, director D.A. Pennebaker filmed the 1967 documentary that turned Bob Dylan into a bonafide icon. Filmed during Dylan’s 1965 UK tour, Don’t Look Back captures a turning point in music culture. With a mix of tour life, conversations, and performances, the documentary is one of the more legendary films capturing the essence of '60s rock. What's your favorite music documentary of all time? Let us know in the comments below!